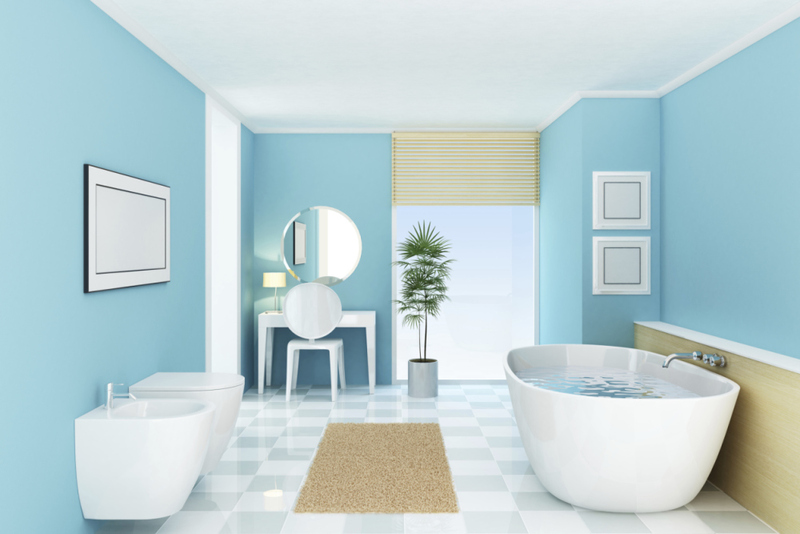 What is a relatively small bathroom instantly gains in space when it has ! The pattern is perfect for that need the illusion of expansion. 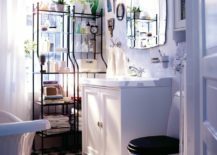 Say goodbye to claustrophobic bathrooms and hello to ones that feel like a dynamic cozy space! 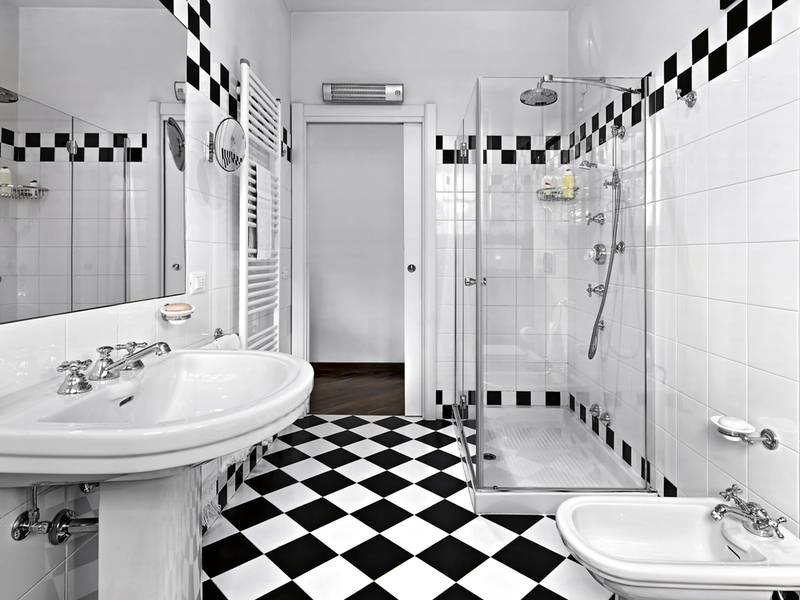 A bathroom with checkerboard floors is a playground for a monochrome interior. 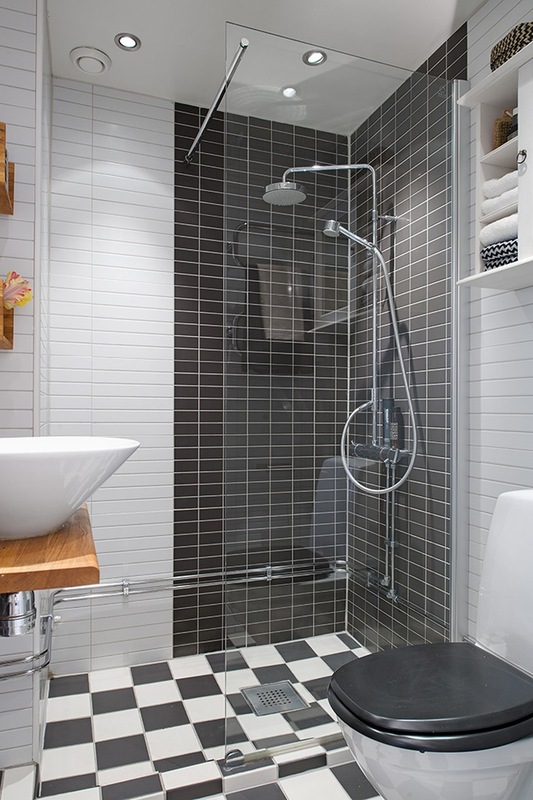 Whether you lean towards or darker ones, the diagonal checkerboard will work amazingly with both! 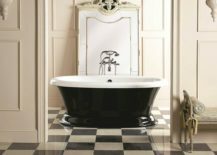 As a decoration tip, a dark black bathtub is just the element that a bathroom like that needs, in order to nail the glamorous look! 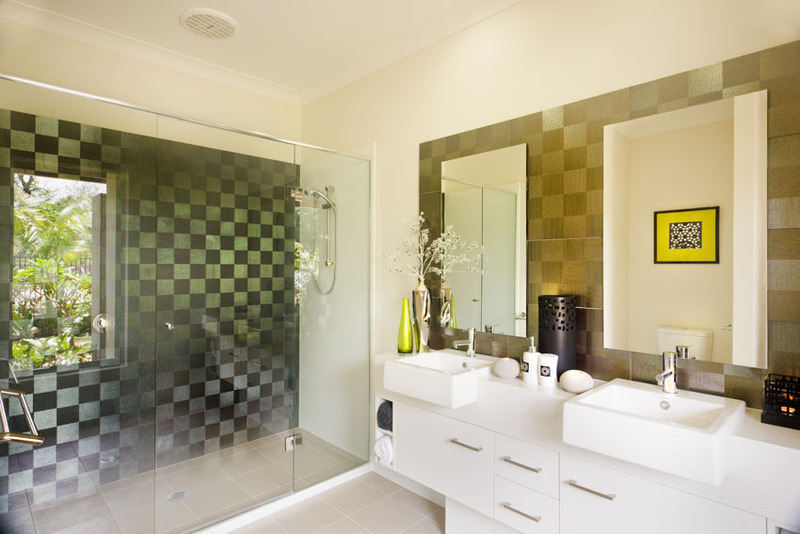 Placing a glass shower into a monochrome bathroom will open up the space even more, making it brighter and more transparent. 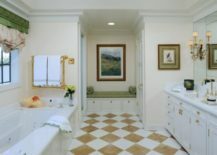 If you feel like extending the checkered pattern beyond the flooring, add some to the walls as well and . 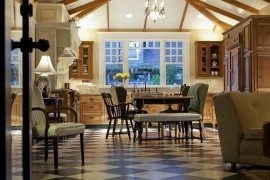 already have a grandiose look to them, but if you don’t want to get too carried away with the modern look, a checkered floor will balance the scale with its vintage flair. 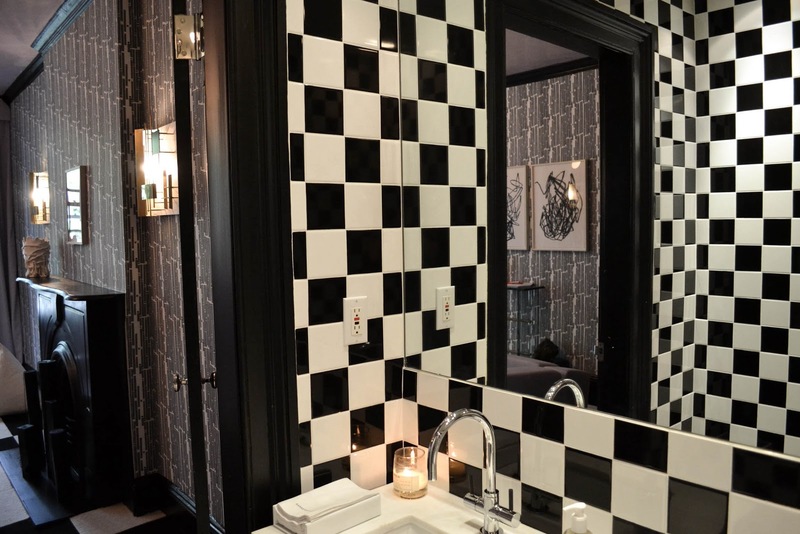 But don’t think that a monochrome checkerboard can’t perform in a modern setting. 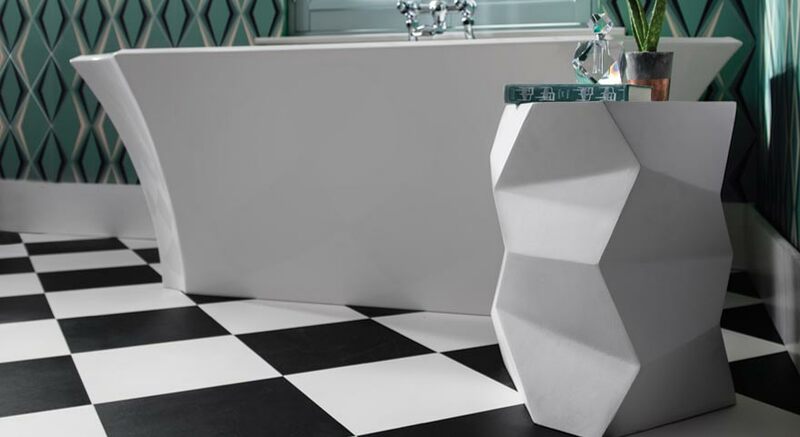 The squared shapes offer stability, giving you the freedom to pursue other decor elements that don’t have such defined shapes and can really go all out on ! 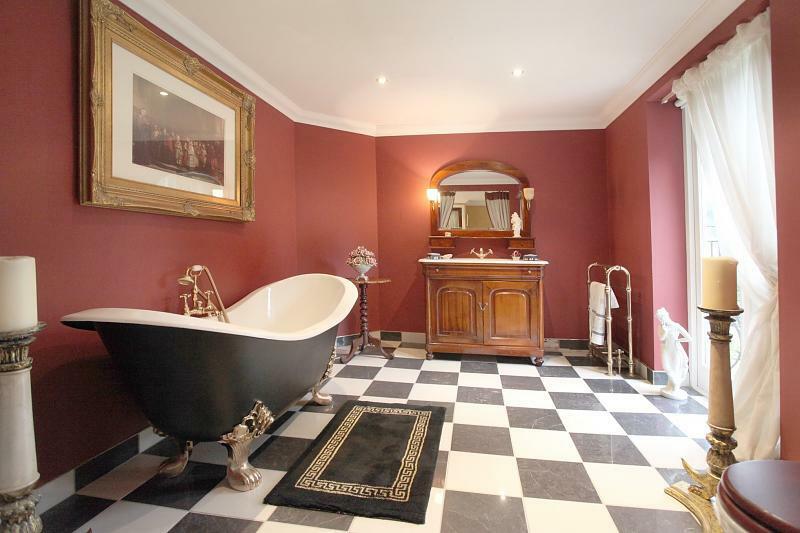 that comes with checkerboard floors is an absolute treat. 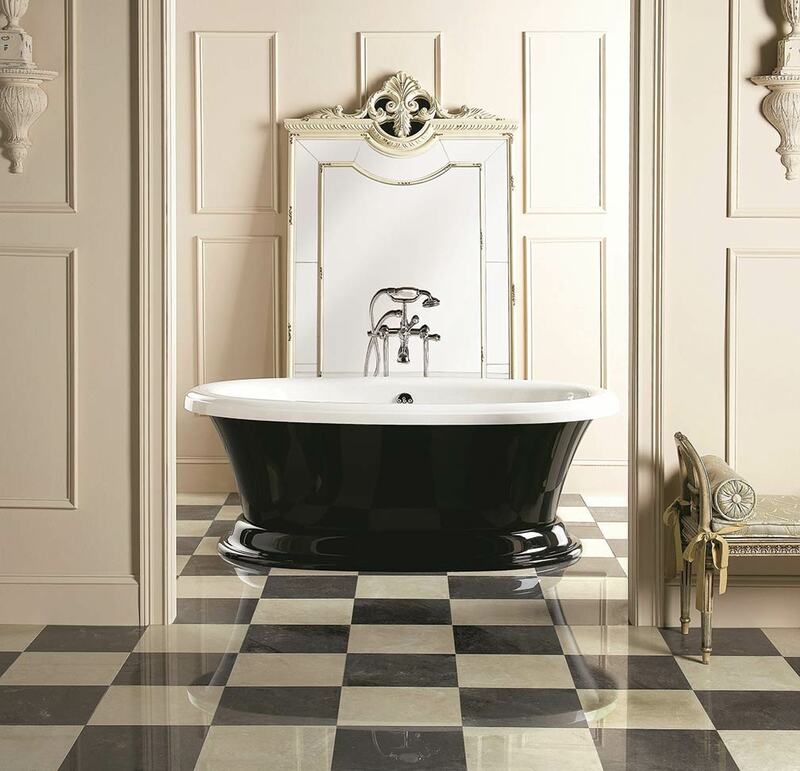 Even though they’re black and white, the tiles will look incredibly beautiful when lit up by the morning sun! 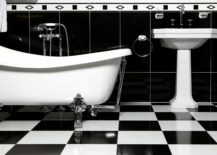 A clean and uncomplicated setting is well complimented by a checkerboard pattern that, with its , prevents the monotony. 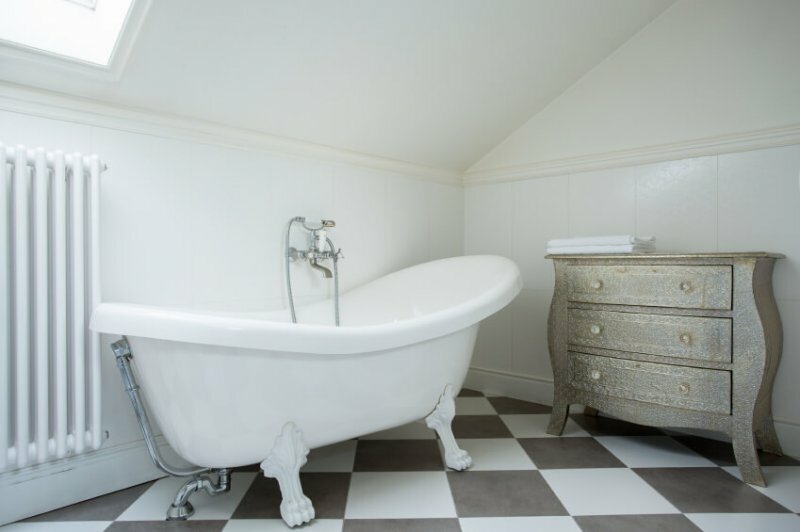 is a great example of how flexible and versatile checkerboard floors can be. If you want to include some farmhouse decor, you are at all liberty to do so as it will only complement the old-fashioned style of the room. 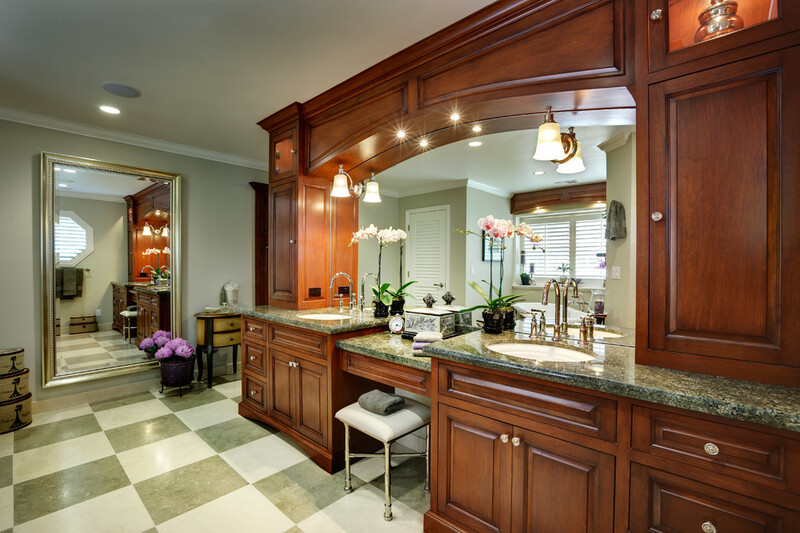 You can alter the pattern itself to reach a more prestigious look, just like do for this state-of-the-art bathroom! 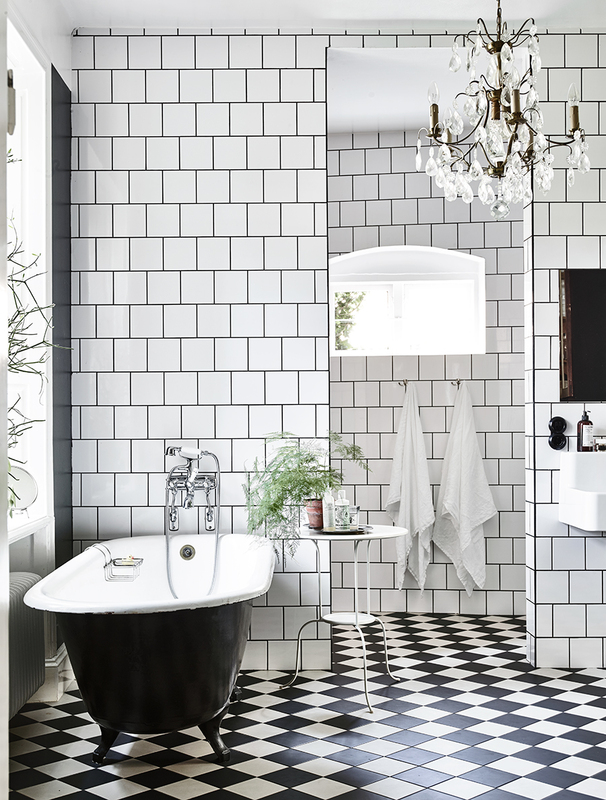 If the diagonal checkered pattern is too dynamic for you and you’d rather stay within the frame of classic and traditional, the straight monochrome checkered pattern could be the suitable alternative! 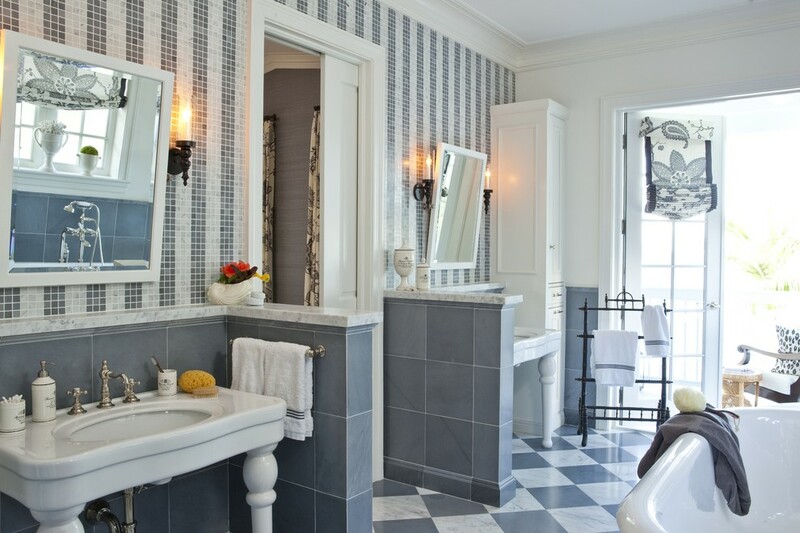 The pattern feels old-fashioned, although versatile enough to be appropriate even in the bathrooms that are slightly leaning towards contemporary interior. 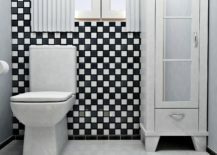 RELATED: Checkered Patterns for Home Decor: Charming or Cheap? 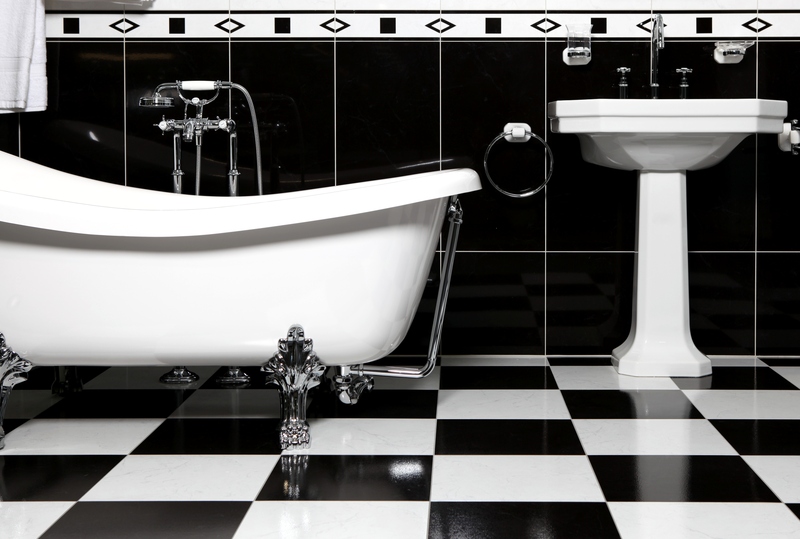 Your love of checkerboard patterns doesn’t have to begin and end with checkerboard floors! 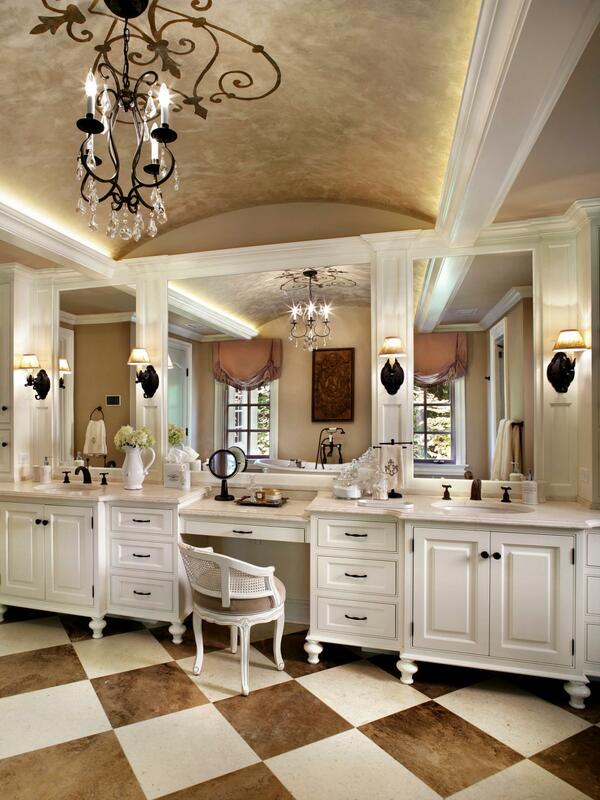 look just as beautiful, fully encompassing the room into its straight pattern and . 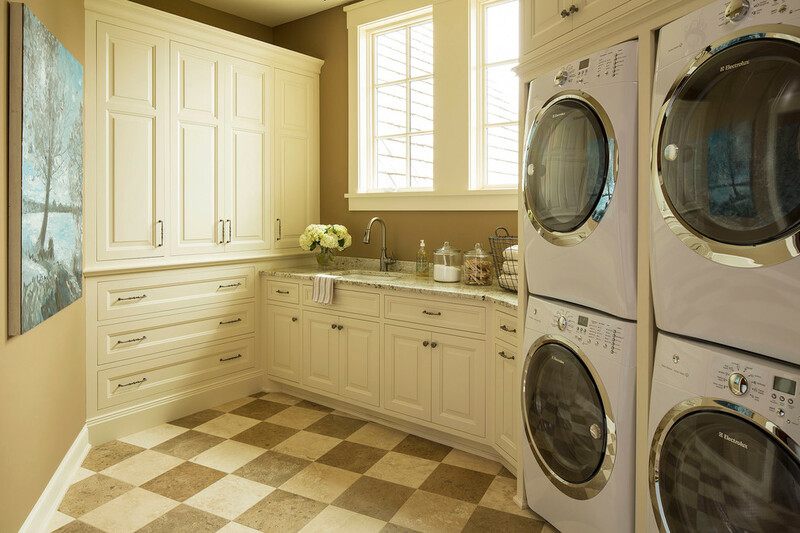 is ideal for straight checkerboard flooring. 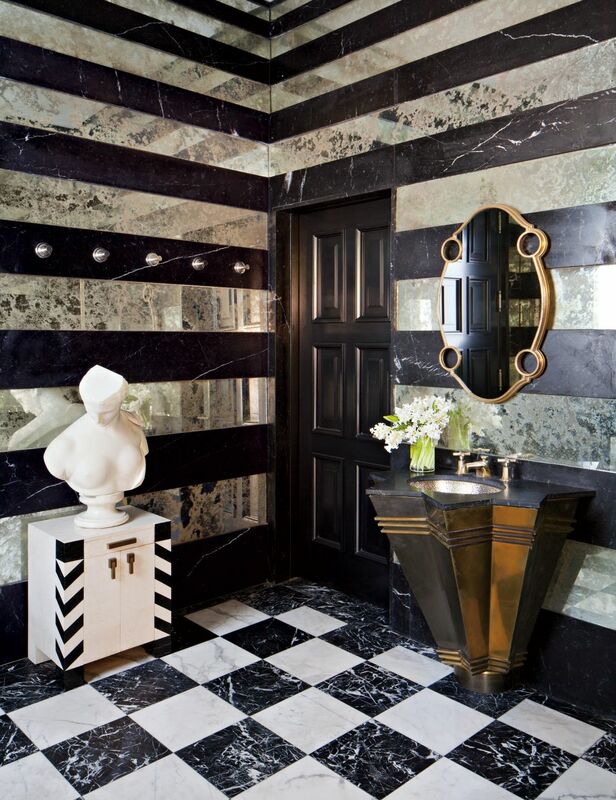 The styling celebrates tradition, sticks to a consistent monochrome color scheme and appears magnificent! 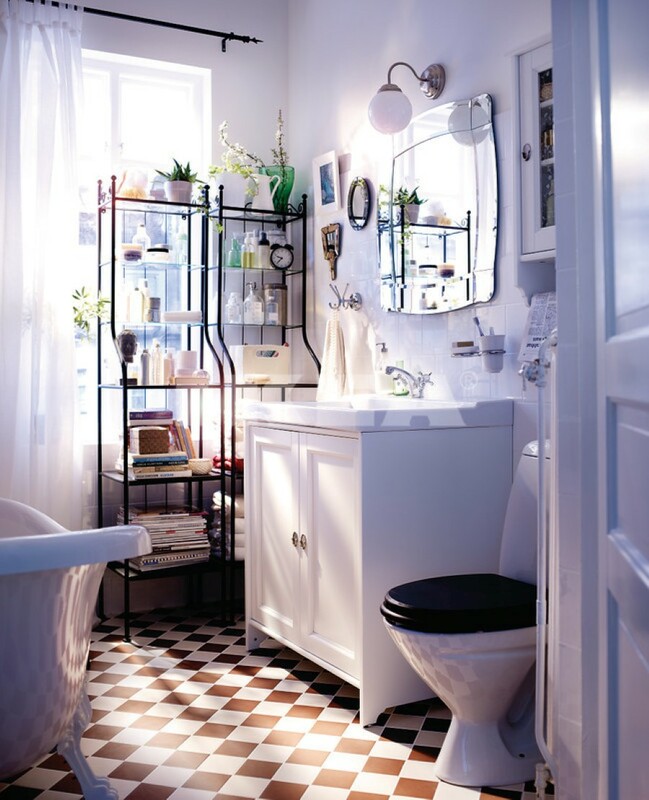 The more you , the more your bathroom will feel like a unique, timeless place! 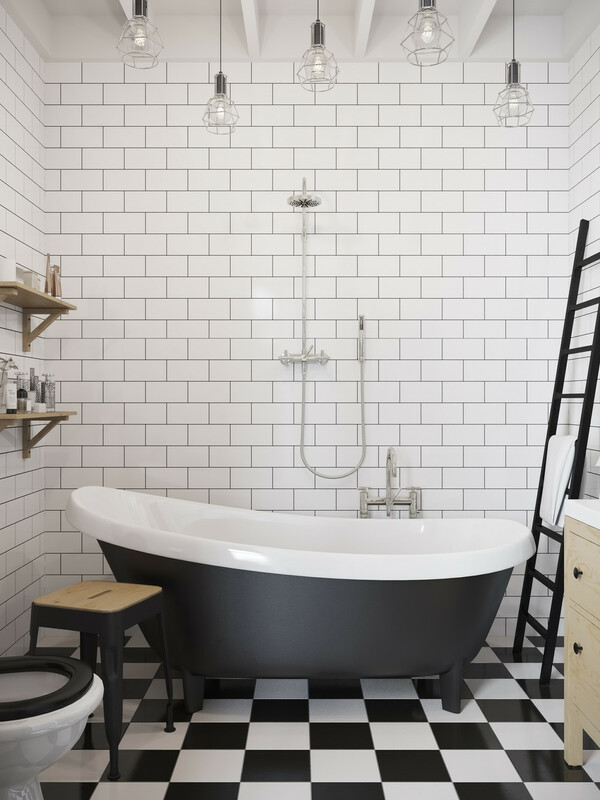 Don’t feel too intimidated by bathrooms with top-to-bottom checkerboard interior. 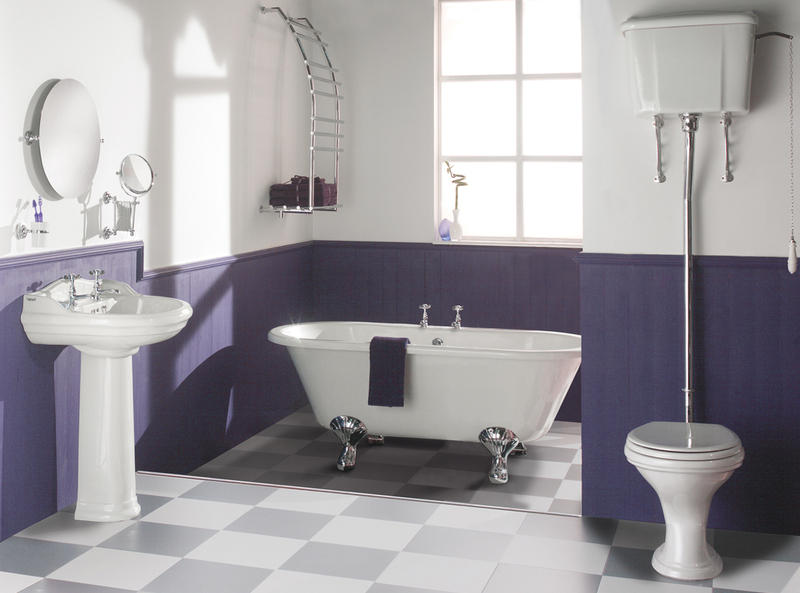 If you want to keep it subtle, add a and be amazed at how it instantly changes the spirit of the room! 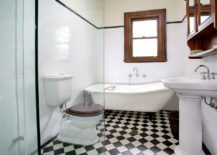 Or, as opposed to the previous example, , capturing the prime look! 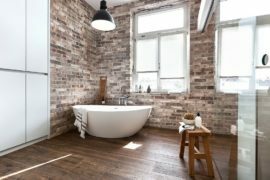 Whenever you are introducing patterns into your living space, try to be innovative and shoot for ideas that are original and unique! Who knows, maybe you develop a trend that catches on! is certainly one of those stylings that we could totally see becoming the next big hit!
. 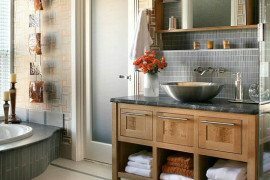 The combination creates an orderly and organized bathroom where every element has its designated purpose and nothing seems left to chance. 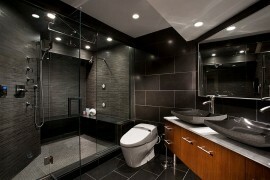 has that balanced feel that easily impresses and is only enhanced by noticeable checkerboard floors. 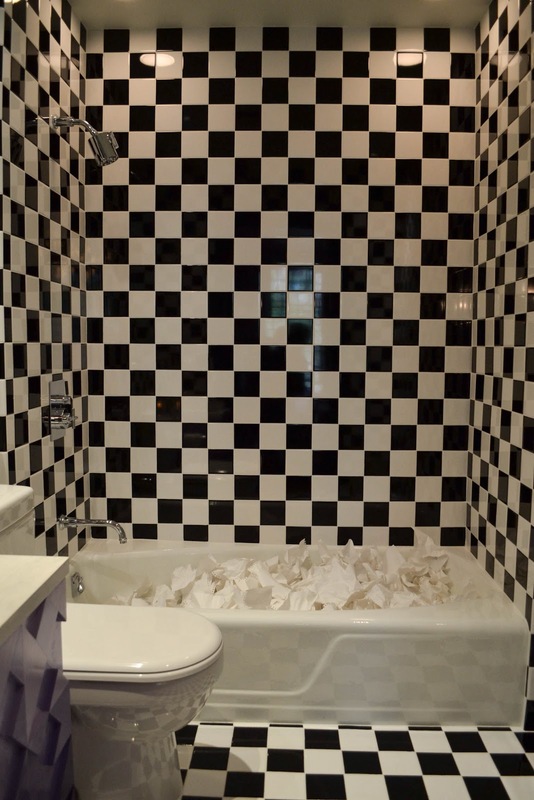 Checkered patterns don’t all look the same; we’ve proved this much! 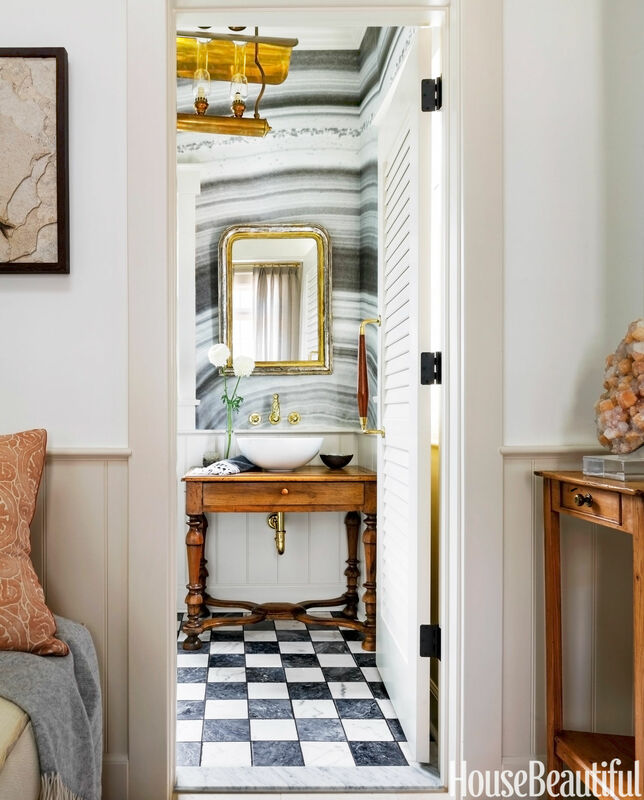 Even within the (what seems like narrow) limits of the popular monochrome pattern, you have the opportunity to decide whether you want a darker or brighter pattern, a bigger or ! 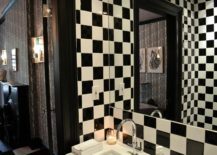 When you love the vintage vibe of a checkered pattern but want something more progressive than just the old-fashioned black and white color scheme, colored checkered bathrooms are the perfectly balanced result! 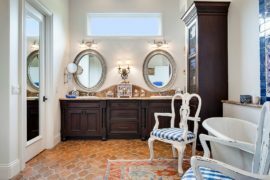 Choose gentle colors, either neutral tones or ones that aren’t too enhanced, in order to allow other decor pieces in the bathroom to be in the center, whereas the floor simply sets the mood for the entire space. with their almost faded look can hardly be described as colored, but they are indeed somewhere in between the monochrome and gray color tones. 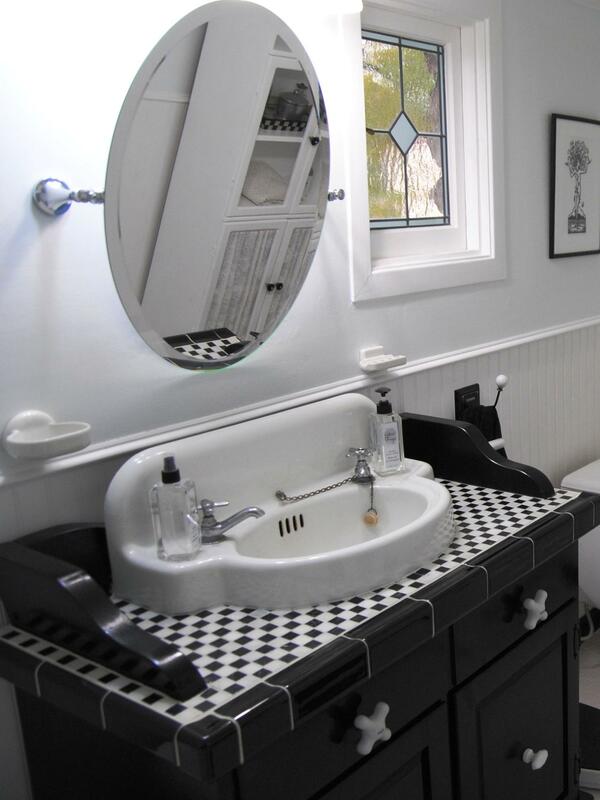 They offer on the classic checkerboard, perhaps less striking and more subtle. 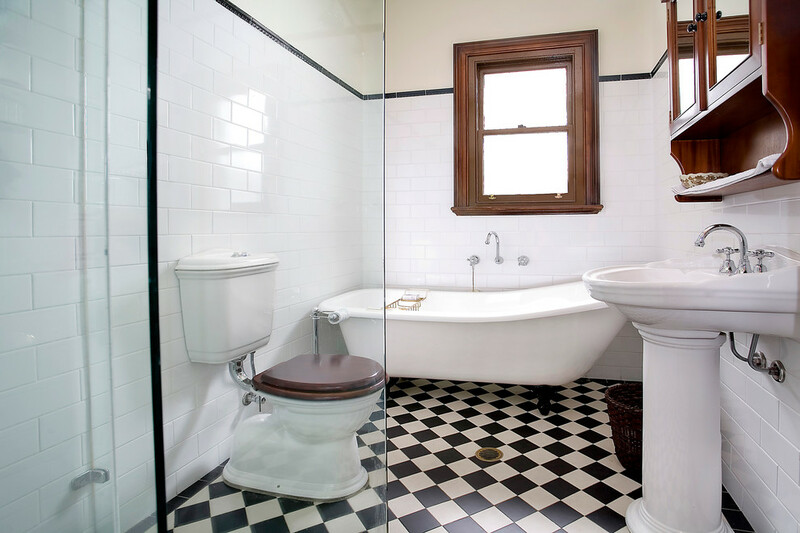 Even when the checkerboard floors are , the bathroom can still hold a strong vintage appeal. 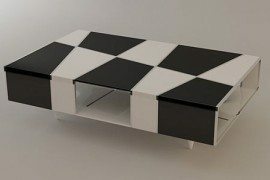 Everything depends on the furniture pieces you choose to place in it! 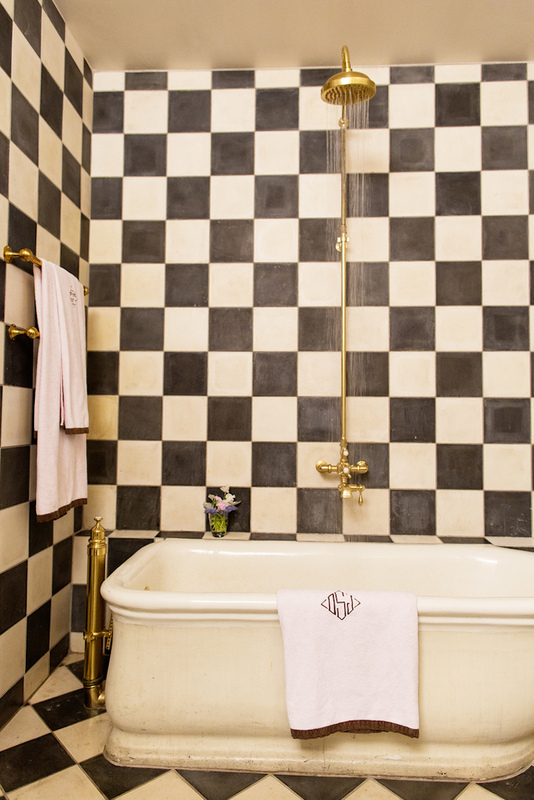 When opting for a colored checkered pattern, it’s worth considering . 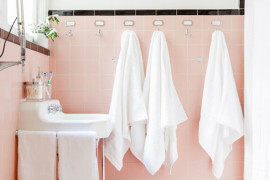 This will create cohesion and will make your bathroom appear livelier. 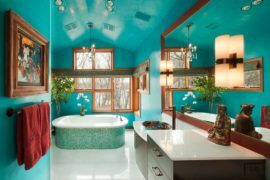 come as a great resource in a beautifully colored bathroom, as they allow the colors to be the center of attention but not at the cost of having to look at a plain floor. 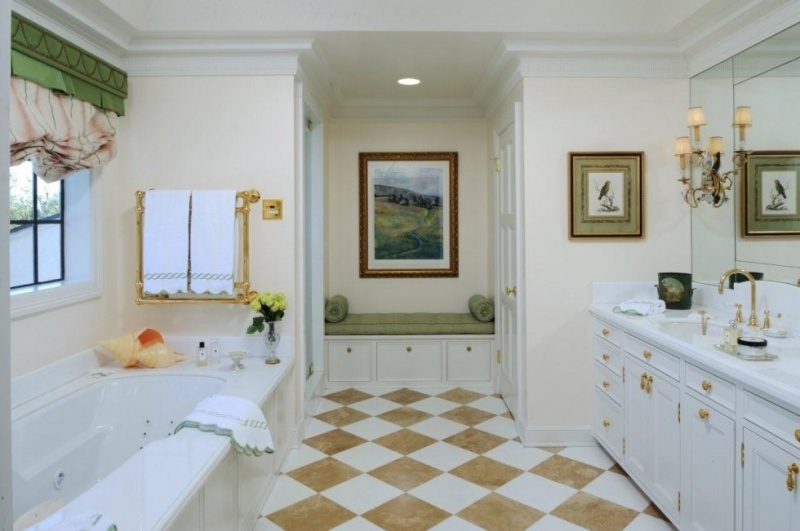 A glamorous and posh bathroom that already radiates in many elements of gold and the bright white interior can only be improved by . 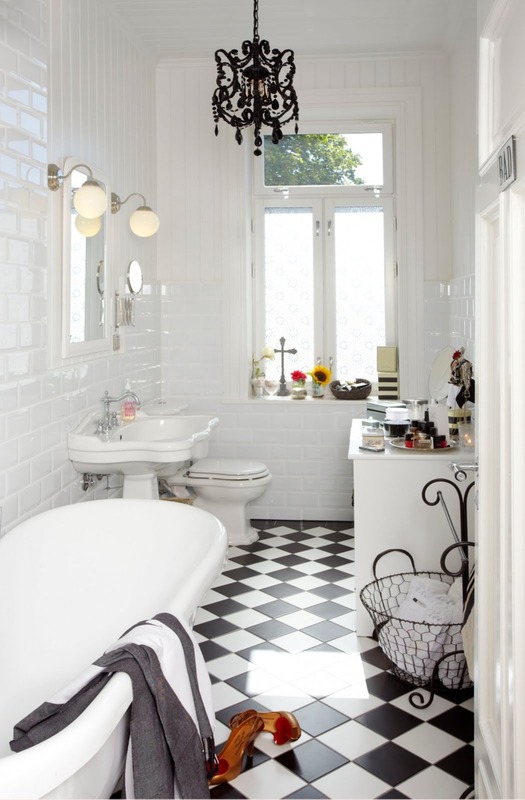 Somehow checkered floors seem the to be at their most charming when they perfectly match the other elements in the bathroom. 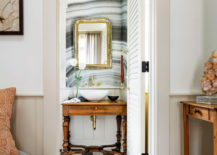 Adding to the space’s , they contribute to where, even though the color pallette is modest, the entire bathroom feels absolutely without a fault. 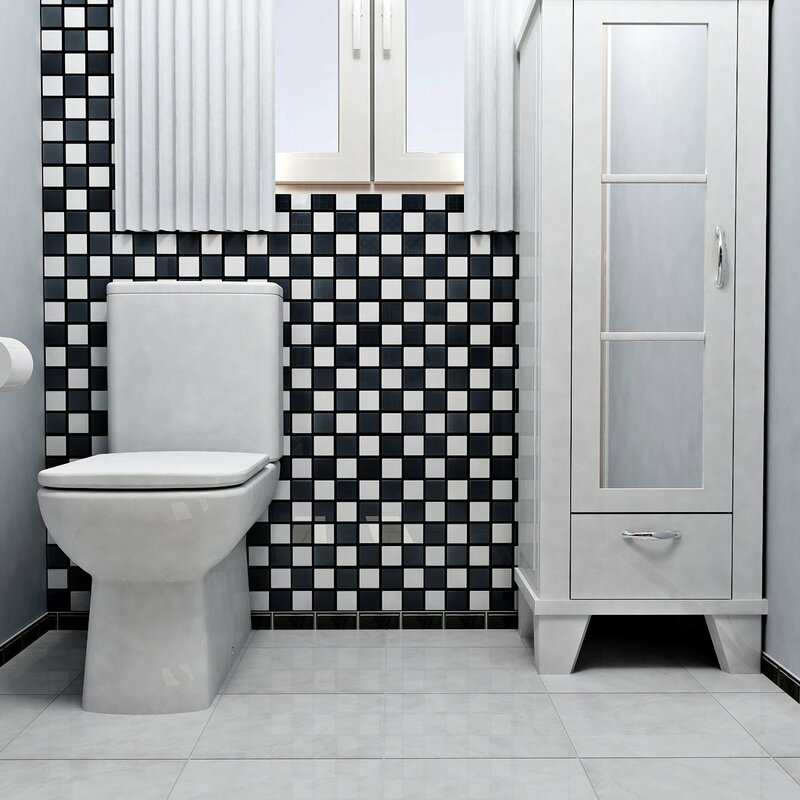 If your bathroom consists of many wooden elements and you’re sceptical of how they would pair with a black and white pattern, a checkerboard flooring in a is a safe bet! 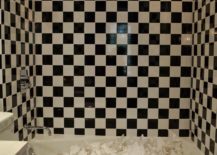 However old-fashioned a checkerboard pattern may feel like, bringing a touch of tradition into an can only stabilize it and offers another outlook on the hidden magic of gentle colored checkered patterns.